﻿ Kiedaisch Point Park - Ohio. Find It Here. Kiedaisch Point was developed in 1974 as a picnic overlook area with a parking area, picnic tables and bulletin board for our visitors. 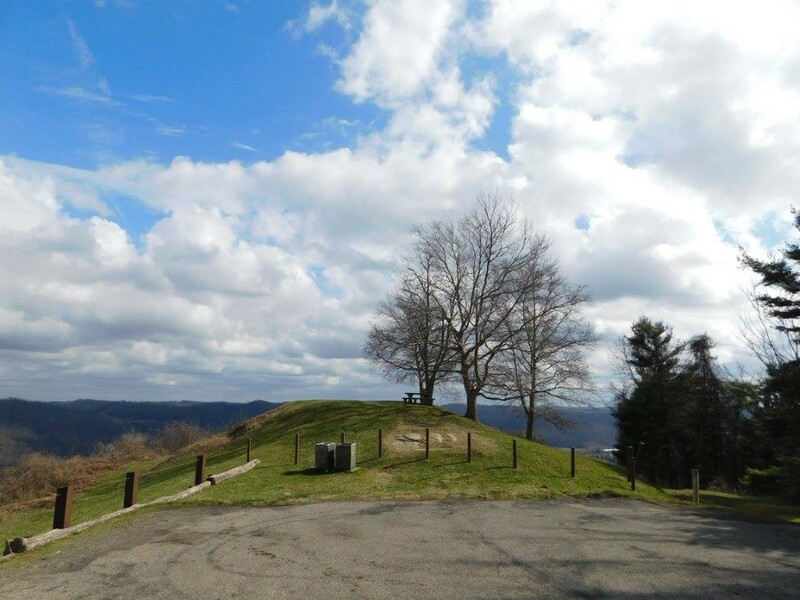 The Point offers a commanding view of New Martinsville, WV, and the beautiful Ohio River. Below, you will see the former Ormet Aluminum Company, once the county's largest employer. A feeling of being airborne is easily experienced as approximately seven miles of the Ohio River unfolds almost 500 feet below the view point's crest. Visitors are afforded a unique glimpse of the rugged terrain that exists in the River Valley, as feeder creeks cut their way into mighty Ohio. 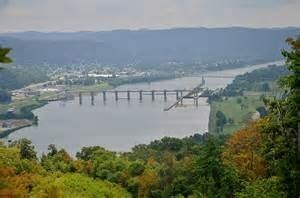 An added feature is a hiking trail from SR 7 (just north of Hannibal) up to this rewarding and sweeping view of the Ohio River.Take 536 NW out of Hannibal, OH for two miles, then County Rd-43 for two miles to Township Road-4 19. Watch for brown park district signs that are posted.